Attention, Attention! 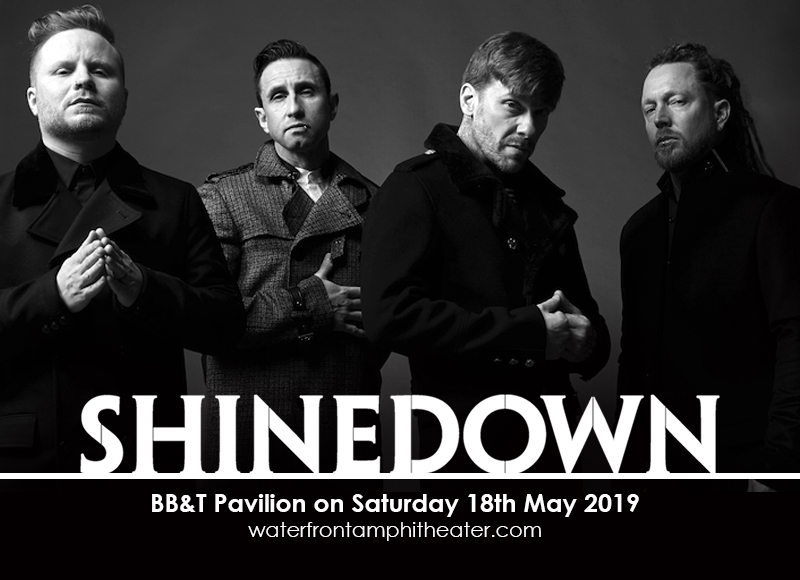 Lend your ears to one of the most enduring hard rock bands of all time — Shinedown! Indeed, their current tour is in full-swing covering 18 headlining shows across cities and states nationwide. Their tour caravan is now headed in this direction and set to mount an explosive stage at the BB&T Pavilion on Saturday 18th May 2019. Since their meteoric rise to fame in the early 2000s, Shinedown has managed to amass legions of fans who are fiercely loyal to this day. With this exciting news, the mad scramble for tickets is bound to happen. Beat the rush by booking your ticket early. Make sure you have a spot right in the thick of the music and the mayhem Don't you dare miss it! "Attention, Attention" is Shinedown's 2018 album release that chronicles their struggles with during their mental health battles. Hence, the road to recovery comes full circle with an extensive tour in support of the album, to celebrate victory and gratitude to their fans who've supported them all the way. The sais album charted at number 5 on the Billboard 200 and seized the top spot on Alternative, Top Hard Rock and Rock Albums charts. The band ranks third for the most Number One singles on the Mainstream Rock Songs chart trailing strong behind Van Halen and Three Days Grace. The resurgence of gritty rock yet melodic sound prevalent in the early 2000s was the hotbed for the emergence of bands like Shinedown. The release of their debut album spawned the hits “Fly from the Inside”, “Burning Bright”, and “45”, propelling album sales to reach the platinum mark. This smashing debut immediately prompted a national tour. After the tour, they resumed studio work in 2005 and released their sophomore album “Us and Them” which ushered in the No. 1 Active Rock Chart single “Save Me”. Subsequent singles included “Heroes” and “I Dare You”, which was used in “Wrestlemania 22”. Success may have taken a toll on the band but the enduring power of their music and the devotion of their fans sustained their presence and relevance to this day. Shinedown is burning bright and yes, they still got everyone's 'attention, attention'! Don't miss this exciting tour. It'll surely one helluva ride!